My raffle prize was a free place on the first day of the Align, Bleach, Bond (ABB) course with IAS Academy's Tif Qureshi in London. 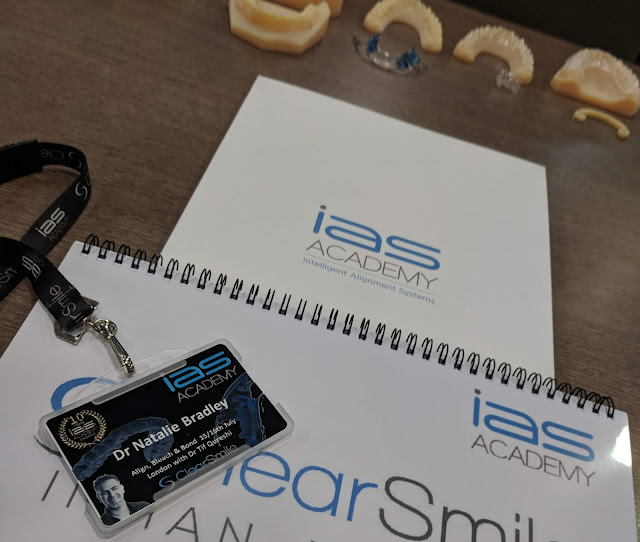 IAS Academy are an orthodontic training academy to help train GDPs in varying orthodontic systems to allow dentists to treat their patients with a range of appliances. 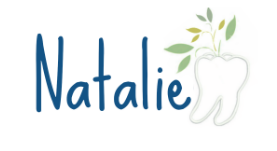 They continue to support the dentists they train through an online forum with support from other GDPS, specialist orthodontists and technicians. The ABB course is essentially one of the first courses the academy recommend for beginner GDP ortho - and they don't refer to GDP ortho as 'Short-Term Ortho', rather 'Anterior Alignment Ortho'. 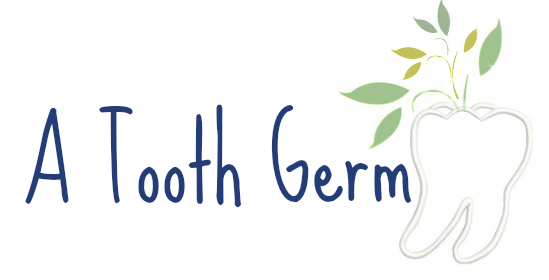 With the correct case selection, AAO can help align teeth in as little as 6-16 weeks! The first day taught us about ClearSmile clear aligners and the Inman Aligner. The Inman can move teeth faster and the lab bill is cheaper than clear aligners but patients may prefer wearing clear aligners. Both devices focus on movement of the anterior teeth only. What Ortho records do I need? IAS also run a photography course. The day was structured as theory in the morning and in the afternoon we had the chance to get some practical skills with hands on doing IPR (interproximal reduction) and bonding a fixed retainer. I have been on other GDP ortho courses before, but I felt the background and theory Tif taught gave me more understanding of assessment and treatment planning rather than just relying on a lab or ClinCheck. The advantage with IAS is not only a strong support network, but also the chance to enhance your skills by enrolling on some of the more advanced courses. If any GDP is looking to start an ortho journey, IAS will give a solid foundation of knowledge. Check out the highlights video of the day! Have you been on an IAS course? What did you think? Let me know in the comments below.